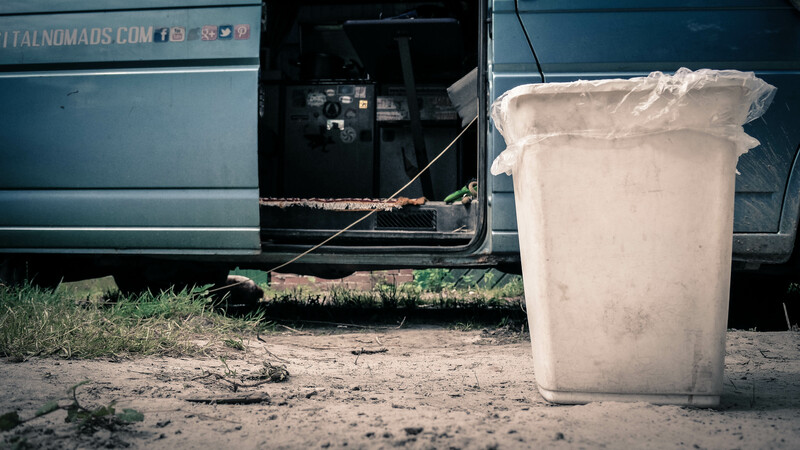 Keeping the house clean is pretty important to us, especially since our house happens to be an 80-square-foot van. We really don’t like living in chaos, which is why cleaning is now part of our daily life. Our living space is so small, it really doesn’t take much time- but it is a good idea to do it often. And it also helps us keep track of our stuff. It’s shocking how quickly we can lose things in the van. Grin. We have a double gas stove top inside our Westfalia and we use it for cooking almost every day. We use: pots, pans, dishes and assorted kitchen stuffs, like a whisk. It’s important to clean them (sometimes just after lunch or dinner) so you can have more space later for working or sleeping. It also manages the smells that can waft or stick unpleasantly. We usually wash them directly in the sink, but portable sinks are an option, if you prefer washing them outside. After cleaning the dishes, it’s also good to clean the stove of food residue. Oil splatters on the metal cover and bitsy crumbing around the edges are common. It’s better to do a little tidying daily, rather than a long one once a week (like we’d normally do in an apartment or house). We usually only need 2 small cleansers: one for the dishes and a main universal cleaner for the stove/surfaces/floor. There are a lot of environmentally-friendly cleaners out there, or you can create your own DIY cleansers. 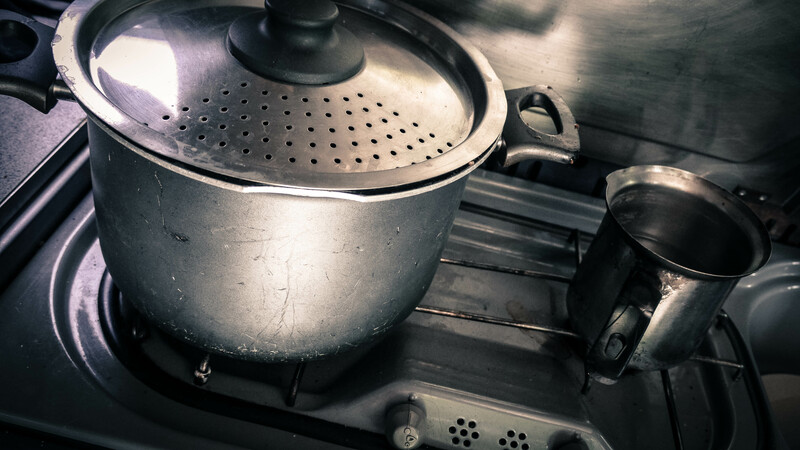 We don’t cook a lot of things with tons of grease and oil, but when we do, we heat up some water on the stove to clean it. It makes it easier to deal with than cold water. Don’t forget to keep an eye on the ceiling above the kitchen, which needs to be wiped down from time to time. The steam and oils go up and it becomes a bit dirty and sticky. Not just the area right near the stove, but in the outward arc from the cooking area. Just behind the driver’s seat, we have a small plastic garbage container where we use plastic bags. You’ll need one for sure, if you don’t want bits of things to go littering your van. We produce a plastic bag about every day and a half. Unfortunately, our van is too small to keep garbage separately, so our option is to put all together. We recycle when we can, and when the bag’s full we dump it in an external outside container as we travel and start with a new one. We have a small broom and a dustpan that we use for cleaning the floor. It depends on the weather and the location, but wow can our floor get super dirty. For example, when we parked for a week near the Sahara Desert, we had to clean almost hourly, because a lot of sand got everywhere every time we stepped in and out. We probably still have some leftover sand. Ha. 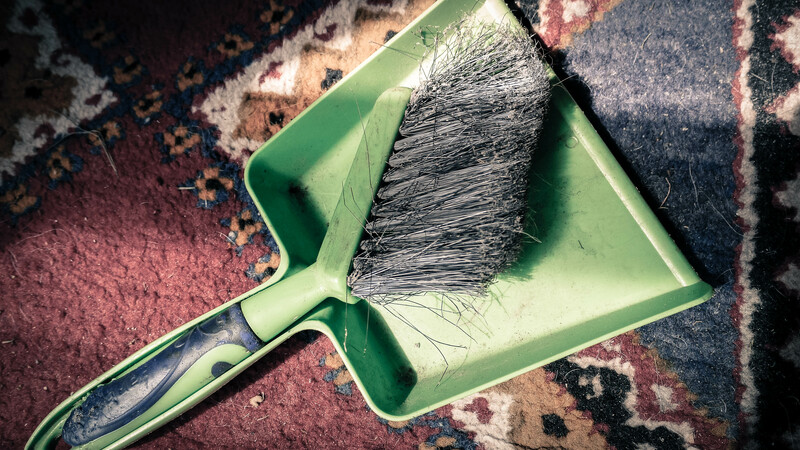 Sweeping’s an easy job that takes 5 minutes or less of your time, so you can then take off your shoes and be comfy in the van with a clean floor. You should also keep a rug for rainy days, when the floor gets wet, or even if you spill some water on it. We’ve used all sorts of rugs. Small ‘Home Sweet Home’ rugs; bathroom rugs; and now we’ve got a small handmade carpet from Morocco. Take advantage of the sunny days. That’s when you can clean the spaces you don’t normally see, like the rear of the van and under the back seat. You’ll need to move the stuff you have in the back to get it clean. You can a good vacuum with a vacuum cleaner at a car wash, to get a real spot-on job for edges and ridges, for just a few Euros. Lastly, you should keep an eye on your storage space and what you put inside. It’ll depend on the weather. These spaces can get filled with mold from humid or wet weather that could attach to your things. Mold can also be an issue along edges, so a portable bucket is handy to have for full wipe downs. Again, it’s great when you have the time and perfect weather outside to take it all out and to air them a bit, while you clean the storage area. Put your stuff in well-sealed plastic bags and arrange them inside the storage. We usually keep things we don’t use so often in the storage, but it’s still important to us. Keep the two front seats and that area clean, so you can drive in comfort and without things blowing around. Seat covers, wiping off the dash and back-of-seat storage You can use an automatic clean place/vacuum cleaner because many vans have carpeted floors. The outside needs to be fairly clean. Believe me, you don’t want to get attention for a having a dusty, dirty-looking van. It’s also better for you when you’re searching for a good place to park. 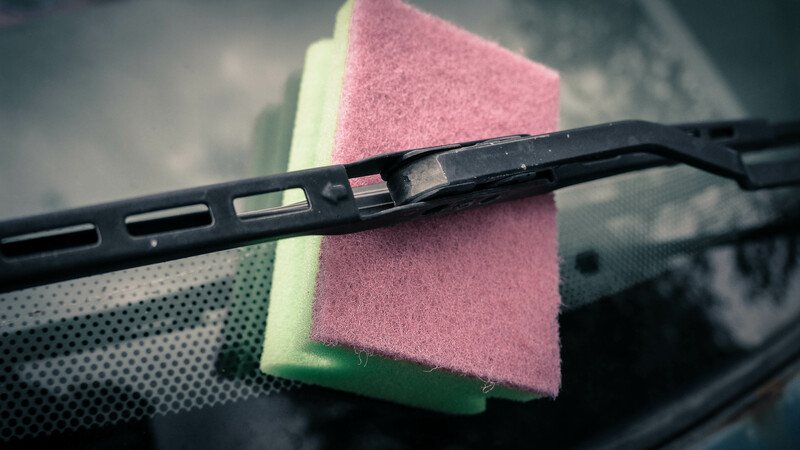 This is a pretty easy situation, either by choosing to clean it yourself, sponge and bucket; going to a car wash; or going to a professional car wash and having them do it for you. When your van’s clean-ish, nobody hassles you for the whole homeless-weirdo vibe. 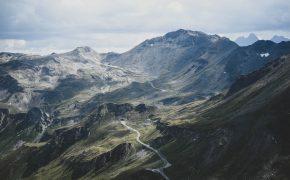 Keep your windows spotless, so you can actually see the beautiful landscapes you’ll find on your travels – and be able to take stunning pictures, as well. Ha. We have a small portable squeegee we use for the windows, inside and out. Depending on where we travel and how much we travel, we do a main van clean up at least twice a year. Sometimes more. That means we take everything (and I do mean everything) out from our van and we start from top to bottom. 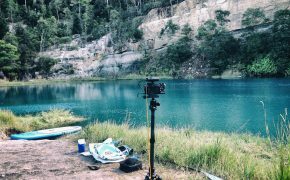 We do this operation (which sometimes takes us several hours or longer) so we can find the dingy, hard-to-reach spots and to get rid of stuff we don’t need any more in our travels. It’s an ideal time to downsize again, so you can add to your space with newly relevant stuff. As an example, when we started out, we had tons of winter clothes. Our traveling now is concentrated on staying in warmer areas, year-round, making any winter warmth unnecessary. 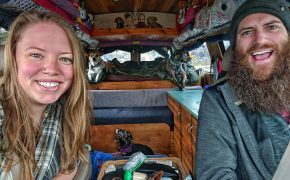 Living in a van – full-time – means keeping things to a specific, minimal amount, because we really don’t have that much space. We are used to giving away stuff we don’t need any more, or trading them with people on the road. Another example: in Morocco, we traded an old GPS and a backpack we never used for a beautiful handmade carpet. In Spain, I gave Furgoneteo a slick 40s hat, which had been given to me 2 years ago in Norway from Paul, a Lithuanian friend. It’s nice to see objects continue their individual journeys and start a new chapter. And sometimes cleaning out your house, your van, is a new chapter, too. What about you? 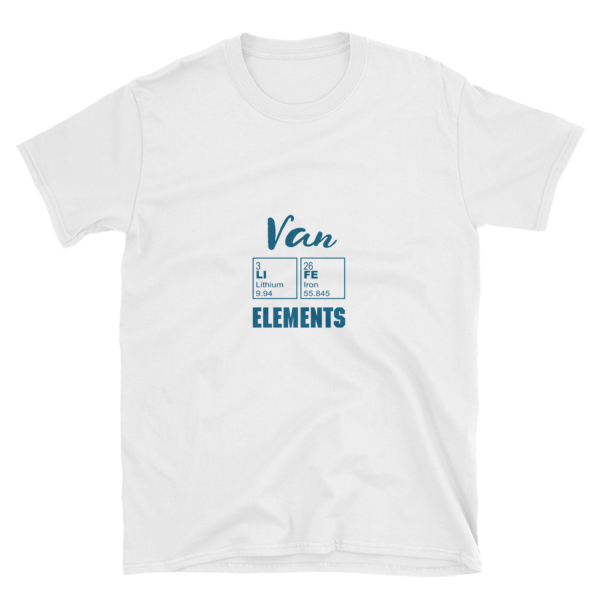 How do you keep your van clean? Any tips or DIY advice you have? We’d love to hear it! 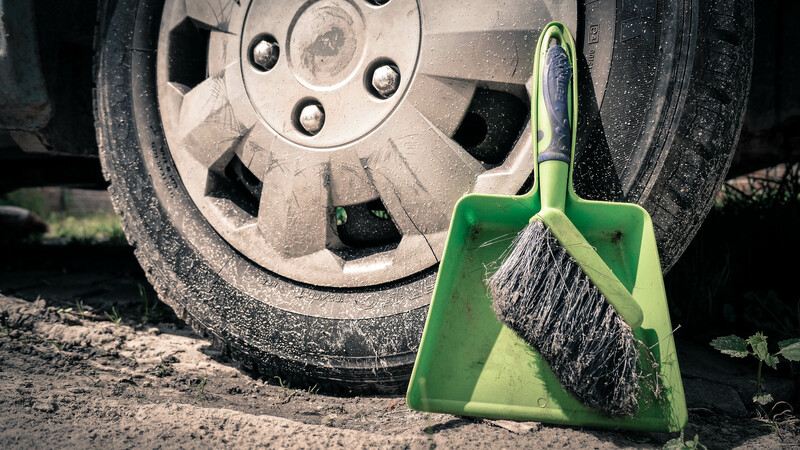 Let us know your best van cleaning tricks below! Thank you for the housekeeping tips. I definitely find it difficult to keep a clean van. Hi Veronica. It’s funny, right? Such a small space can get incredibly dirty in a short time. And because of size limitations, it’s more visible, too. Glad the tips helped, let us know if you have any great ones to add (we’re always on the lookout)!